W4 Construction Group is a member of the Michigan Minority Supplier Development Council and as a business located within a HUBZone we are proud to support our local community. On Tuesday June 6th, 2017 our owner and CEO, Percy Jenkins had the opportunity to speak with students in the City of Detroit at the “Careers in Construction Youth Day”. This was an event to get young people acquainted with careers in construction and offered them the opportunity to talk to mentors who have worked within the industry. 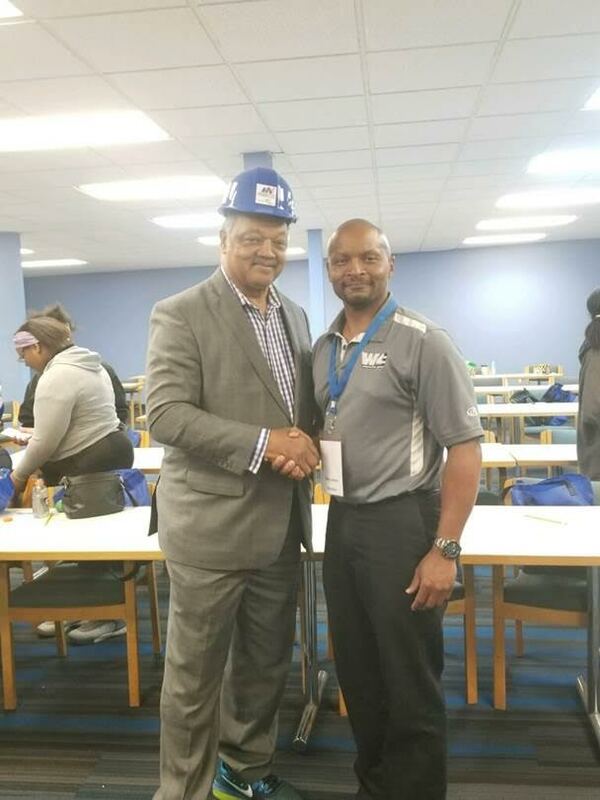 Influential leaders, such as Reverend Jesse Jackson (seen here with Percy) participated in the event to introduce high school youth to the wealth of opportunities that are available to them within the construction industry. Students had the opportunity to meet with successful small business owners to discuss their achievements within the industry. I would like to talk to Percy and other Black construction company owners in Detroit regrding opportunities in SA. I am a developer/ constructor and a dealmaker.